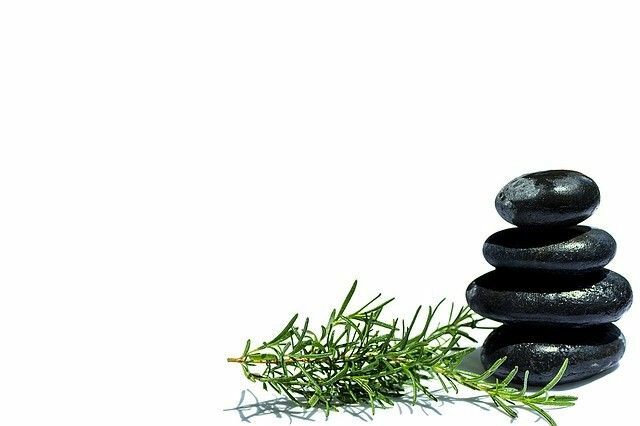 Rosemary, like all other aromatic herbs, is primarily recognized for its medicinal properties that have been revealed over the centuries. While Egyptians placed sprigs of rosemary in their pharaoh’s tombs to fortify their souls, Greeks used it to improve their memory and to stimulate their intellect. In this day and age, rosemary is used in the cosmetic and food industry, and also by herbalists. Rosemary is a perennial shrub that grows in the wild on loamy soil, right up to 1500 m altitude. Native to the Mediterranean region, it is cultivated in places having a temperate climate and mild winters. It has a distinct camphor incense aroma, and its Latin name rosemarinus, meaning ‘dew’ (rose) and ‘sea’ (marinus) or ‘dew of the sea’ is very apt. Adding rosemary to savoury dishes, gives them a Provençal twist. When it is combined with thyme, marjoram, oregano, tarragon and other aromatic herbs, the end result is a mixture of dried herbs called Herbes de Provence (Provençal Herbs). So go ahead and enjoy some rosemary-infused fruity desserts and ice creams. According to Provençal gastronomic tradition, it is used in the preparation of citrus fruit shortbreads. Originally published in the Journal de Montréal on June 5, 2010. I’d like to use fresh herbs as you recommend in your recipes, but do not want to throw away the whole bag for just a few leaves here and there. Do you have any tips on how to store them? I am living in France at the moment. Over here I have found in the supermarkets that you can buy herbs in the frozen food department. I have found this in Chinese grocery stores as well as the large supermarkets. I have a large garden and fresh herbs growing on the window ledge but when out of season I will try this way of having fresh herbs. Just freeze fresh herbs and use what you need directly from the freezer and leave the rest frozen. Great site, I hadn’t noticed https://www.soscuisine.com in the past in my surfing! Continiue the good work!